Oscar Wilde (Oscar Fingal O' Flahertie Wills Wilde) is an Irish writer, born in Dublin October 16th, 1854 and died in Paris on November 30th, 1900. Born in the Irish and Protestant bourgeoisie of Dublin, from a father famous ophthalmologist and a mother poet, Oscar Wilde distinguishes himself by a brilliant schoolarship. At the end of his studies, Wilde settles down in London, where he succeeds in fitting into the high society and the cultivated circles. His most popular books : The Picture of Dorian Gray ( 1890 ), The Importance of Being Earnest (1895). The Picture of Dorian Gray is a novel of Oscar Wilde, published in 1890 and written in the context of the Victorian era. The author includes themes about the aesthetics such as art, beauty, youth, morality and hedonism. The novel is fantastic, but also philosophic, and highlights the ambiguous personality of the Irish dandy as well as the current decadentista, that arouses virulent exchanges of letters between Wilde and several very critical newspapers judging the "disgusting" work. Main representative of the English aestheticism movement, Oscar Wilde takes advantage of his novel to express big concepts as well as to question them. We can see in Lord Henry the author himself, the hedonist and the dandy who loves the words and the infamies of the language, known by his light morally flexible. 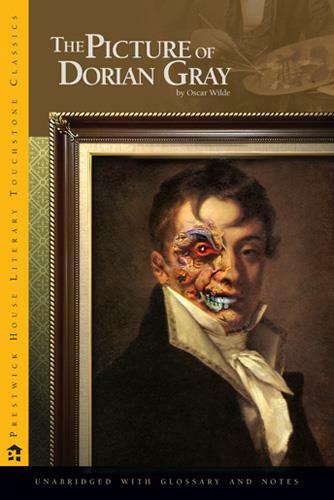 The Picture of Dorian Gray treats the role of the influences in the destiny of a man. Everything begins with the words of Lord Henry, which make realize to Dorian simultaneously his beauty, and of the ephemeral character of this one. This is what unleashes his senseless desire. Without the influence of the words of Lord Henry, there would no be a novel. The influences are important in the plot of the novel, so much like they it are, and much, in Oscar Wilde's writing. Dorian Gray is the subject of a full-length portrait in oil by Basil Hallward, an artist who is impressed and infatuated by Dorian's beauty; he believes that Dorian's beauty is responsible for the new mode in his art as a painter. Through Basil, Dorian meets Lord Henry Wotton, and he soon is enthralled by the aristocrat's hedonistic worldview: that beauty and sensual fulfilment are the only things worth pursuing in life.